*** Please note the POSTPONED and CANCELLED Matches below. 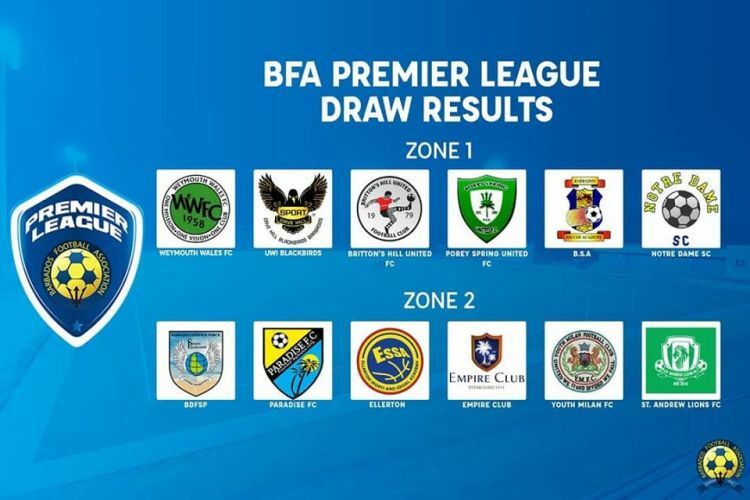 The Barbados Premier League is the highest level of club football within the Barbados Football Association. Each team will play all the other teams in their zone twice. They will also play each team in the other zone once. There will be 3 points awarded for a win, 1 point for a draw and 0 points for a loss. At the end of the rounds, the first placed team in each zone will play each other to determine the champion and 2nd place overall. The two second placed team in each zone will play each other to determine 3rd and 4th place overall. Three teams will be demoted. The last placed team in each zone will be automatically demoted. The fifth placed team each zone will play each other in a double knock-out format. The loser will be demoted. All matches will be held at the Wildey AstroTurf.